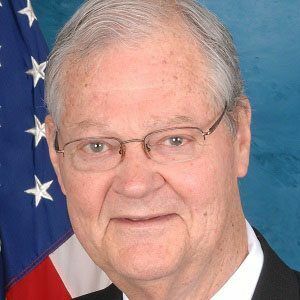 From the late 1970s until 2011, this Democratic Party politician served the fourth congressional district of Missouri in the United States House of Representatives and also chaired the House Armed Services Committee. After earning his law degree from the University of Missouri, he worked as an attorney in Lafayette County, Missouri. He entered politics as a Missouri State Senator. Only two weeks before he passed away, his memoir, Achieve the Honorable, was published. The child of Isaac Newton Skelton III and Carolyn Marie Boone Skelton, he was raised in Lexington, Missouri. Following the 2005 death of his wife of nearly five decades, Susan Anding Skelton, he married Patty Martin. Skelton's father was a close friend of Harry S. Truman, and the young Skelton was in attendance at Truman's presidential inauguration.